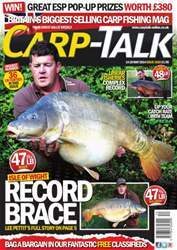 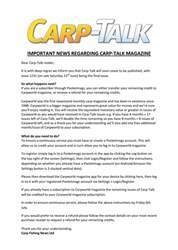 This week’s issue of Carp-Talk (issue 1020) is available to download now! 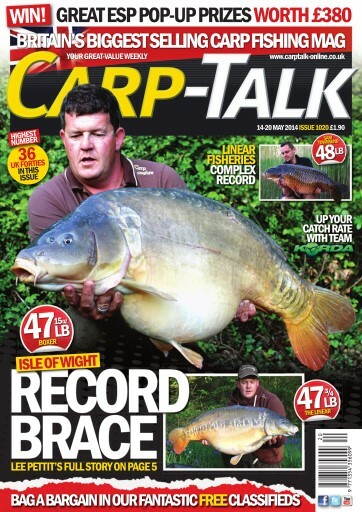 The catches are topped by Fryerning Fisheries’ Gurm at 50½lb, backed up by a 48¾lb mirror from Wellington Country Park, an Isle of Man record brace, a new Linear complex record, Manor Farm Lake’s Peach at 46lh 6oz, and a 46½lb lump from Horton Kingsmead Island Lake. 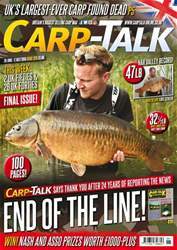 Mike Hamer explains how he manages to fish effectively over zebra mussels, Tom Dove gives us an insight into Korda’s new Krank hooks, Steve Briggs is ‘Back in Belgium’, and Ben Wales looks at products from JRC, Dynamite Baits, Fox and Nash in ‘Trade Talk’. 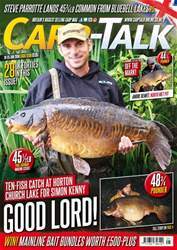 The Fox Mainline Carp Angler of the Year 2014/15 competition continues, the Richworth, Tails Up and CC Moore monthly winners are revealed, and we have got £380 worth of ESP pop-ups to give away.